Apple has launched the new version of iOS, iOS 11. The latest version of its mobile operating system, at WWDC 2017 and it’s bringing a host of new features to current iPhones and iPads. As we all know that latest version of iOS is best suited with the latest iPhone which Apple launch in the month of September along with the public release of iOS 11. In this article, we are going to talk about some of the launch information from the WWDC and iOS 11 launches to highlight some points we think to give us an insight into the iPhone 8. A common theme Apple kept mentioning during its WWDC 2017 keynote was machine learning and with iOS 11 you’ll find Siri is going to be even smarter. Expect the iPhone 8 to be even more contextually aware of your surroundings and what you’re doing from pushing your reminders of upcoming meetings to suggesting apps depending on the time of day, location and your habits. We envisage a phone that takes care of the more menial tasks day-to-day, freeing you up to get on with living your life. Apple’s replacing the JPEG file format with HEIF, which it says offers 2x better compression as well as improved low light performance. This points towards a more powerful camera on the iPhone 8, as larger image file sizes won’t be an issue if the new HEIF format can store them at half the size of JPEG. There's still much to learn about HEIF, with Apple revealing little about how it works, or what it will be compatible with. So we'll be looking closely as more information is revealed on what it can mean for the future of Apple cameras. It’s not just images getting some compression love, with iOS 11 also bringing 2x better compression to video as well. As a result, we expect the camera (or cameras) on the back of the iPhone 8 to boast improved video recording. Apple fully embraced AR (augmented reality) and VR (virtual reality) at WWDC 2017, giving developers dedicated tools to create content for these two experiences directly on its own platform. We saw a demo of AR on a new iPad Pro 2 and VR on the new iMac - and there was even a quick clip of improved AR in the Pokemon Go app running on an iPhone. A slightly better effect of a Pokeball bouncing down your garden path probably isn't the big pull Apple is after though, and the iPhone 8 could well feature dedicated AR and VR experiences. There's even the outside chance that Apple takes a leaf out of Samsung's book and builds its own Gear VR style headset to slot the iPhone 8 into. We can but the dream, right? More likely are the rumors that a pair of Apple AR glasses is in the works, given the focus on augmented reality last night. This one may be a little bit of a stretch, but hear us out. Apple showed off its updated Photos app for iOS 11, and one feature within it is Memories. Memories automatically identify groups of images, be it of your dog, family, a group of friends, a holiday or an anniversary, and curates a mini video for you to enjoy and reflect on past glories. What has this got to do with screen size though? Well, Memories knows the orientation of the iPhone and will adapt the video it curates to suit either landscape or portrait playback. 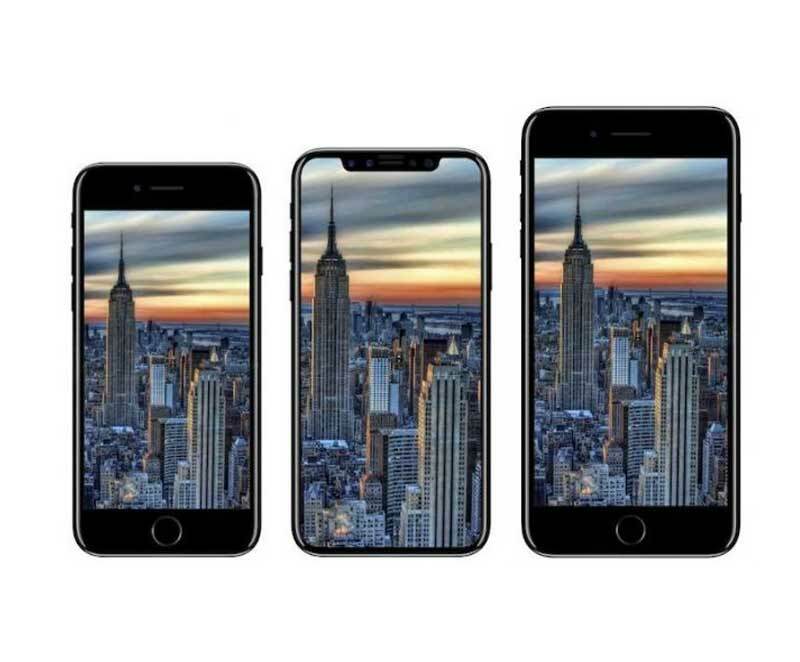 The ability to alter playback on the fly to suit different aspect ratios could well be a hint that Apple is about to adopt a new screen size for the iPhone 8 – because if it can roll this technology out to the other core apps and functions it could mean less work re-working iOS 11 for a different display size. Rumors suggest that the iPhone 8 could pack a 5.8-inch display, so this idea isn’t that crazy.